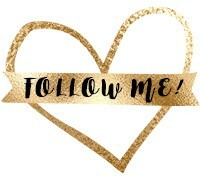 You are here: Home / Health / I’ve Found the Best Paleo Vegan Low Sugar Chocolate! 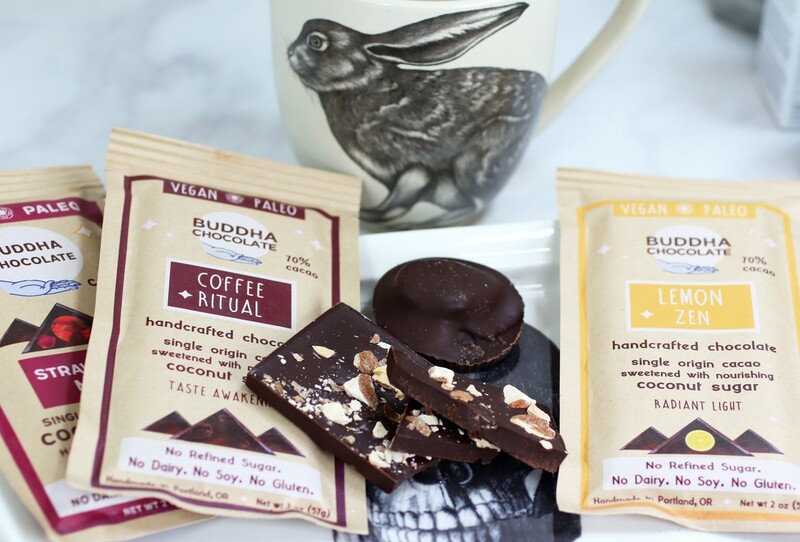 Buddha Chocolate is the Best Paleo and Vegan Chocolate I’ve Ever Had! The secret to life is really good chocolate! 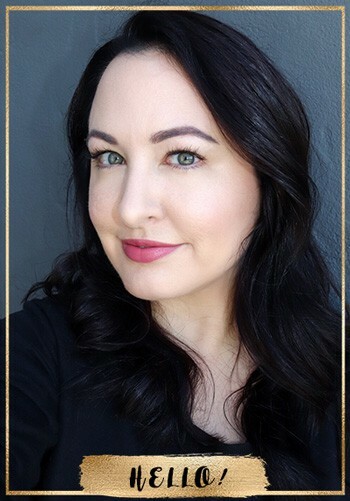 When Gregg and I embarked on a paleo, low-sugar diet in January of this year, we were pleased to find that low-sugar, 70% cacao chocolate was still on the menu. Dark chocolate has a ton of health benefits when eaten in moderation, including polyphenols and other antioxidants (even more than blueberries and acai berries!). We were looking for something without refined sugar, dairy, gluten and soy, and without any additives like sugar alcohols or aspartame. 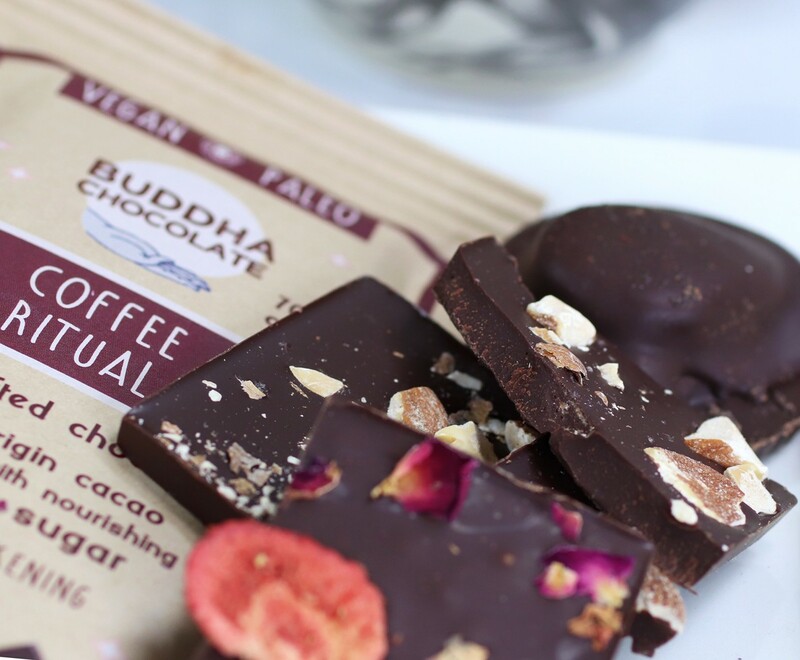 We tried A LOT of different brands, but once we found Buddha Chocolate at our local Erewhon health food store, we were HOOKED! After doing some stalking on Instagram, I discovered that the founders of Buddha Chocolate are an adorable couple named Laura and Cayce, who just had a newborn baby (congrats guys!). They handcraft small batches of chocolate in Portland, Oregon, and the love they put into the chocolate really shows. They even have a cute little chocolate shop and cafe, and if I make it up to Portland, you’d better believe I’ll be paying them a visit! Buddha Chocolate comes in all kinds of fancy flavors like Strawberry Moon (with real strawberry pieces and rose petals), Lavender Bliss, Lemon Zen, Maya Spice, Western Red Cedar, Wild Rose & Sea Salt, Smoke & Salt, Oregon Hazelnut, and many more. They also have more classic flavors like regular and salted chocolate, as well as almond. Oh – and they even have almond butter cups, drinking chocolate and S’mores! My favorite by far is the Coffee Ritual flavor with real coffee beans on top. I don’t drink coffee very often because it bothers my tummy, but this chocolate (in moderation of course) fulfills my cravings without any problems! Take a look at the nutritional profile to see if it fits your diet. But I think it will fit most! One half of a Coffee Ritual bar has 8 grams of sugar and 5 grams of fiber. I don’t usually eat half a bar at a time (okay well – sometimes…), and as a treat, I think this is about as healthy as it gets. I should also mention that I have a pretty low tolerance for “healthy desserts”. I describe most of them as “foresty” – as in, someone dropped it on the floor of the forest and then tried to eat it. LOL! But these chocolates are definitely NOT foresty! 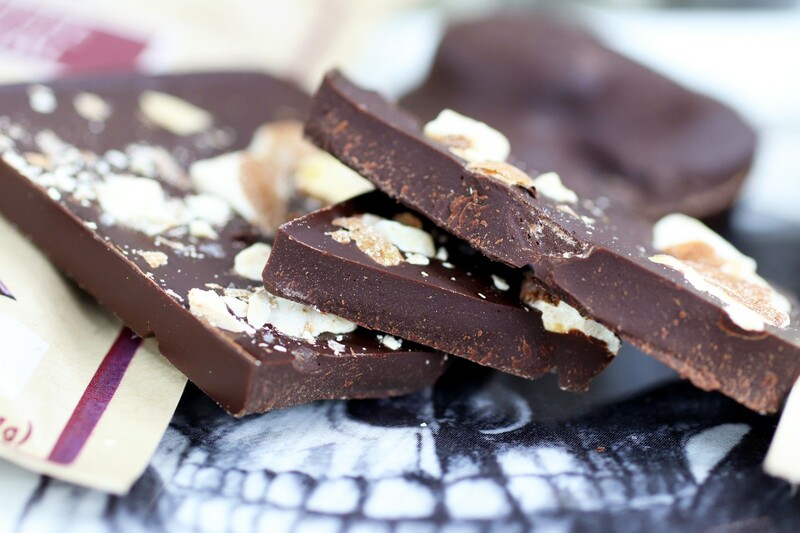 If you’re used to sugar-laden grocery-store chocolate, it may be less sweet than you’re used to, but it’s definitely one of the sweeter ones I’ve tried from the paleo chocolate world. There is coconut sugar added, which makes it delicious but still low-glycemic and paleo-friendly. I’ve tried some that taste like baking chocolate mixed with wax, and those are on my NO THANK YOU list! 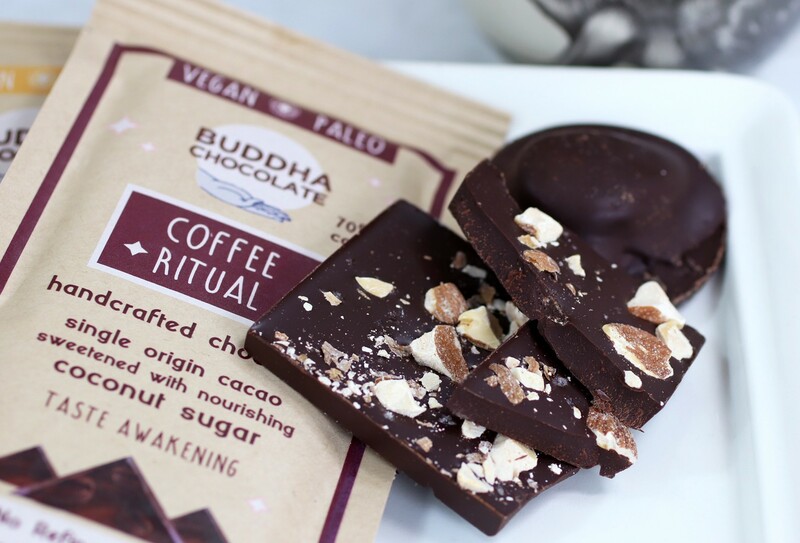 Now, I can tell you that it’s pretty rare that we don’t have any Buddha Chocolate in the house, because we don’t do a lot of sugar, and this is a must-have treat for us. But, I will say, this fancy, small-batch chocolate needs to be savored, because it’s not cheap. You can get a bar for $7 online (we pay somewhere around $8 at Erewhon), or you can buy in bulk and save some dough (I really need to do that). Gregg and I usually each have a small piece after dinner, and one bar will last us about 2-3 days (or 1 day if I’m PMS’ing)! It’s an indulgence to be sure, but it’s a healthy one, and it’s SO worth it! 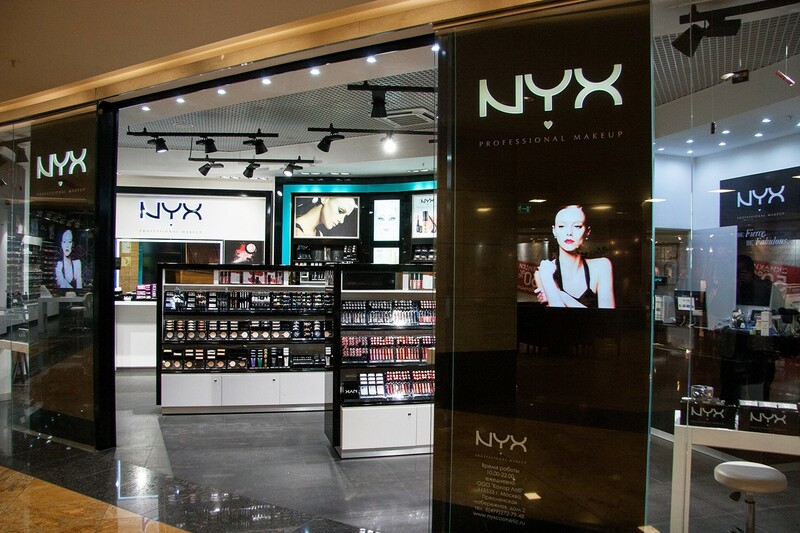 « Drugstore vs Prestige Cosmetics – Which is Better?